He's signed, sealed and delivered for the next five years in Vancouver, but for Kevin Bieksa, the bottom line is still the same: bring the Stanley Cup to British Columbia. Versatility is his forte, a defenceman who can do just about anything at his position. 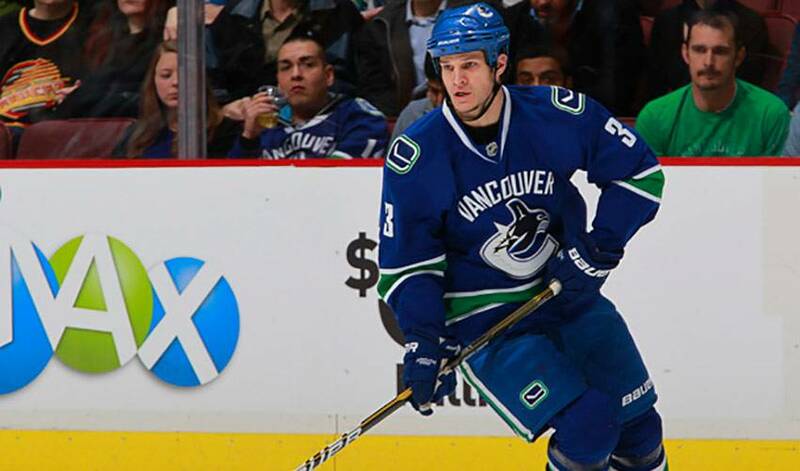 It's what made the 30-year-old Bieksa a crucial piece of the Canucks blueline in Vancouver. So, when he was offered a five-year contract, one that includes a no-trade clause, the rugged rearguard was only too happy to stay put. It's no stretch to say the man who graduated from the university with a bachelor's degree in finance and was a two-time CCHA All-Academic honourable mention in 2003 and 2004, has been money in the bank for the Canucks. Three games shy of 350 into his NHL career, Bieksa, who hails from Grimsby, Ontario, has been through it all, both good and bad, during his time at hockey's elite level. His first training camp with the Canucks was a nightmare. Bieksa came to the Canucks' 2005–06 camp as a projected competitor for the team's sixth defenceman spot. Three days into the prospects' camp, he suffered a high ankle sprain after colliding into the boards with another defenceman and was eventually re-assigned to the Manitoba Moose, Vancouver's American Hockey League affiliate, on October 3, 2005, sidelined for the first month and a half of the 2005–06 AHL season. Bieksa was called up by the Canucks and played in his first NHL game on December 19, 2005, against the Los Angeles Kings. He was called for a roughing penalty 10 seconds into his first shift and played 10 minutes and 45 seconds total in a 4–3 shootout loss. And while there have been other injuries to contend with, namely a severely lacerated calf in 2007-08, as well as knee and foot injuries in 2008-09, along with another nasty cut to his leg in 2009-10, Bieksa was able to battle through being sidelined to become one of hockey's most consistent defencemen. Vancouver fell just short of that goal in 2010-11, losing in seven games to the Boston Bruins, falling 4-0 on home ice in the deciding contest. Weeks after the defeat, Bieksa admits it still stings. In the moments after Game Seven, Bieksa walked back to the lounge in the Vancouver dressing room to catch a few moments of Boston's post-game celebrations. “I forced myself to watch a little bit of it, just as a motivation,” said the player who holds the Manitoba Moose franchise record for most points by a rookie defenceman with 39 in 2004–05. Which is what Bieksa expects of himself when it comes to his game. Bieksa can certainly expect more of that once the new season gets underway. For now, though, he'll get his kicks away from the rink. And when Bieksa gets back to his summer training regimen, he'll set his mind to the one thing in his career he cherishes most: bringing Lord Stanley to Vancouver.